For close to 40 years we've served our local and regional music community, in addition to our world wide clientele of pros and collectors. Collector grade 'bursts, 'bones and D'angelicos pass thru our hands, as well as countless utility instruments for the player, which I'm pretty sure is who it's all about in the first place. Many well known guitarists have trusted and validated our knowledge and advice, among them Robben Ford, Brian Setzer, Nils Lofgren, Kirk Hammett, Roy Buchanan, J. Geils, Kris Kristofferson and Keith Urban to name a few. 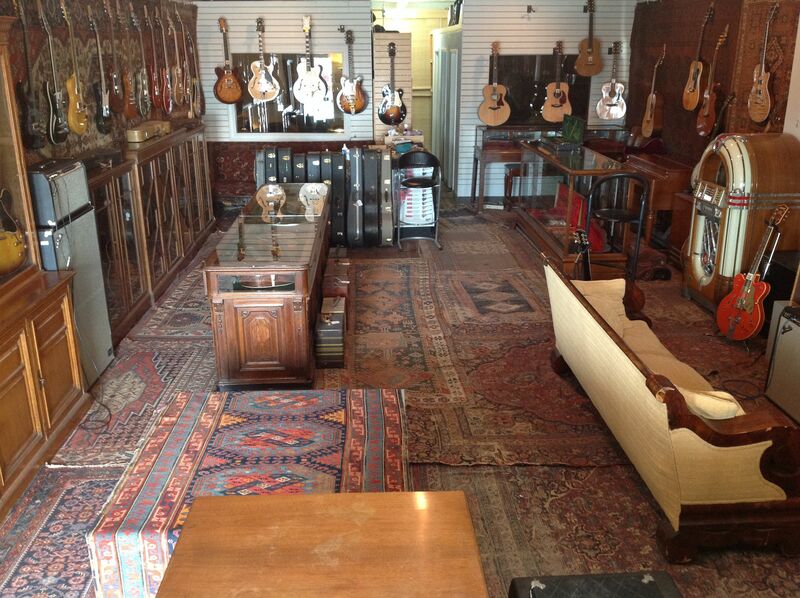 You can expect to receive an instrument from us set-up and ready to play, guaranteed to be as represented. Always buying and trading .... the usual: Gibson, Fender, Martin, Gretsch, Rickenbacker, National, Collings, Guild, PRS, Taylor, etc. In these economically challenging times, just remember: Guitars will get you thru times of no money better than money will get you thru times of no guitars, unless we're buying your guitars, in which case you should just take the money.